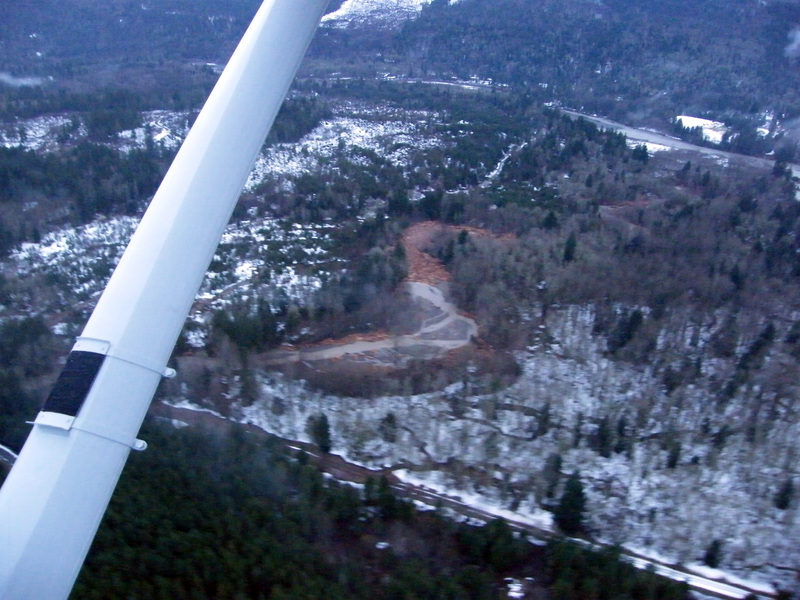 One of the more talked about landslides from the January 7-8th storm was the landslide that occurred at Hyak. 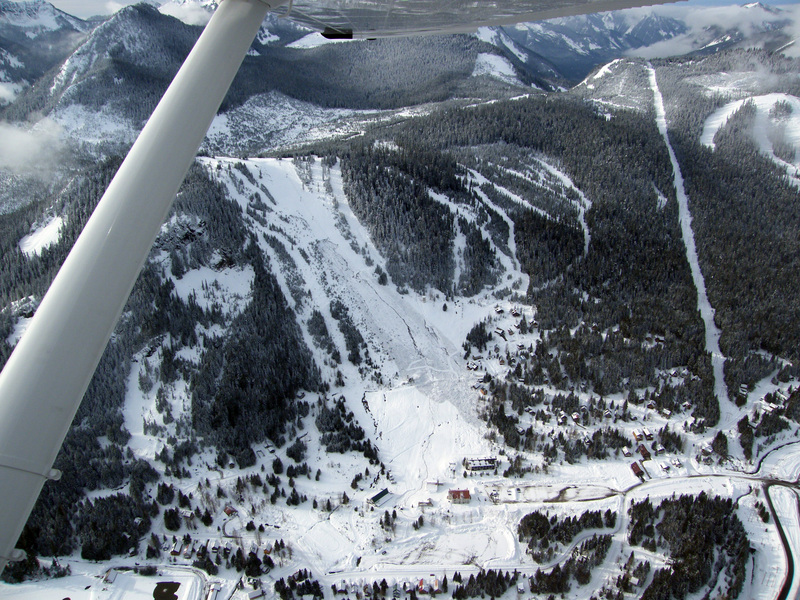 The landslide started at the Summit at Snoqualmie ski area and moved into the Hyak community. 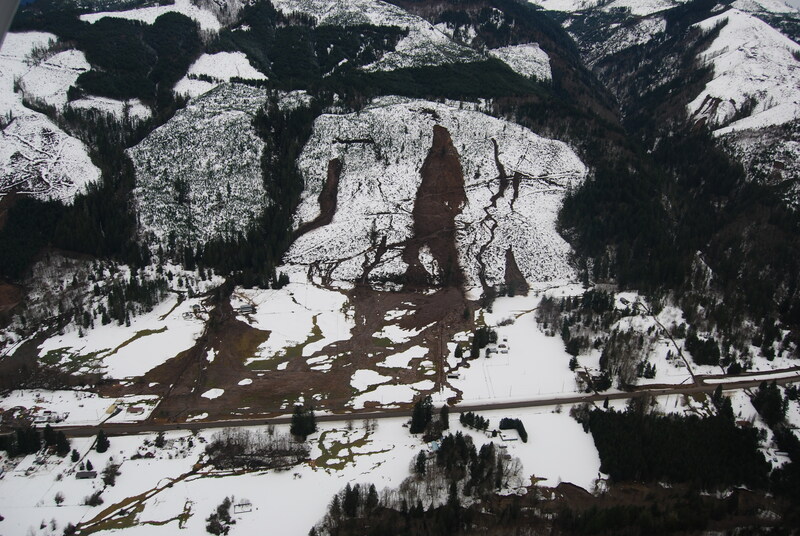 This landslide got a lot of press and originally, it was thought that is might be an avalanche. I remember having a discussion about this at a NOAA/NWS video conference meeting. Although, looking at the photos, it seemed that instead of the snow scraping up the soil beneath it, the slope gave way and moved the snow along. Something like a debris/snow avalanche. 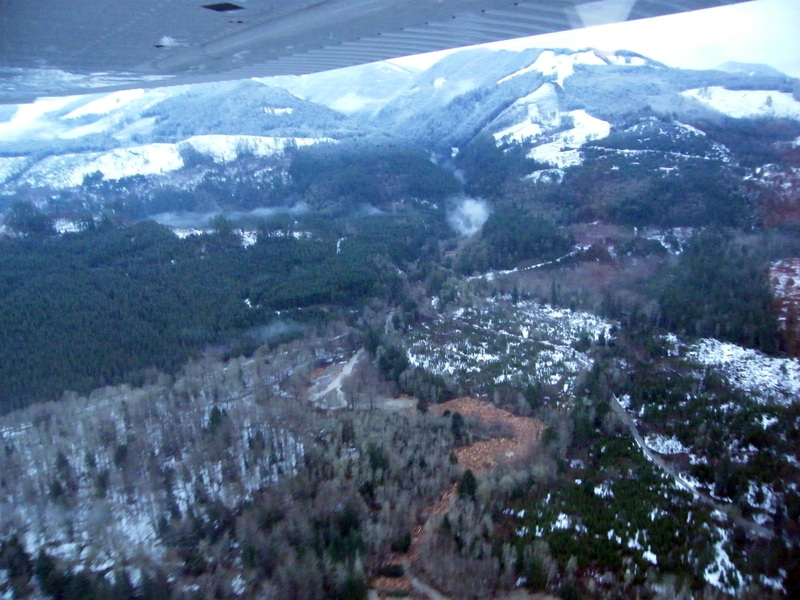 The landslide occurred at approximately 11:40 a.m. Wednesday, January 7, 2009. Heavy rains (probably at about its elevation limit before turning into snow) from the storm had reached the summit earlier, warming the hillside and inundating it with rain. 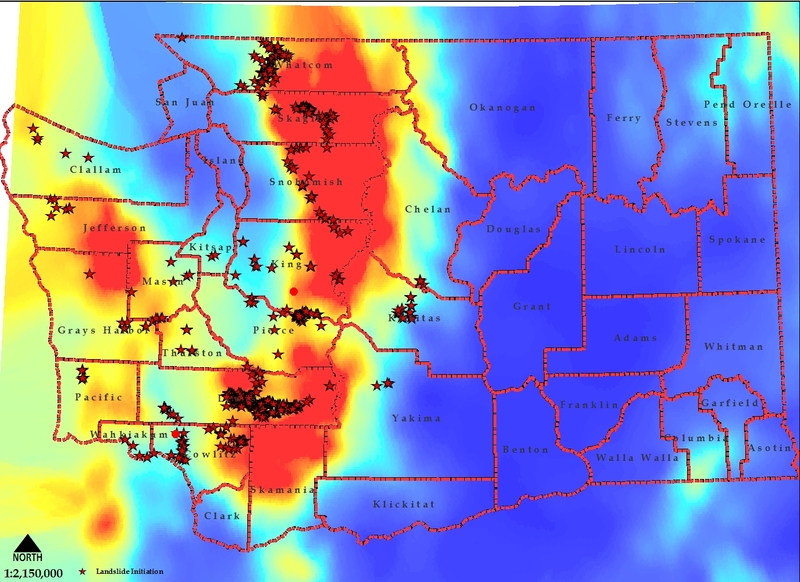 Here at DNR – Division of Geology and Earth Resources (Washington Geological Survey), we were in emergency mode. 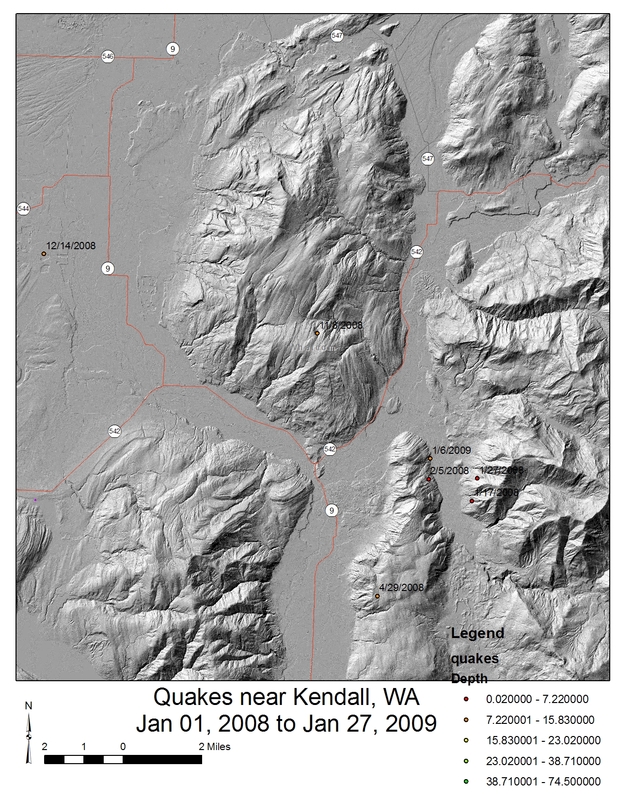 We mobilized all of our geologist and sent them into the field to document landslides, but more importantly, sent them to check on residences that were impacted from landslides and to make sure they were safe from future landslide movement. 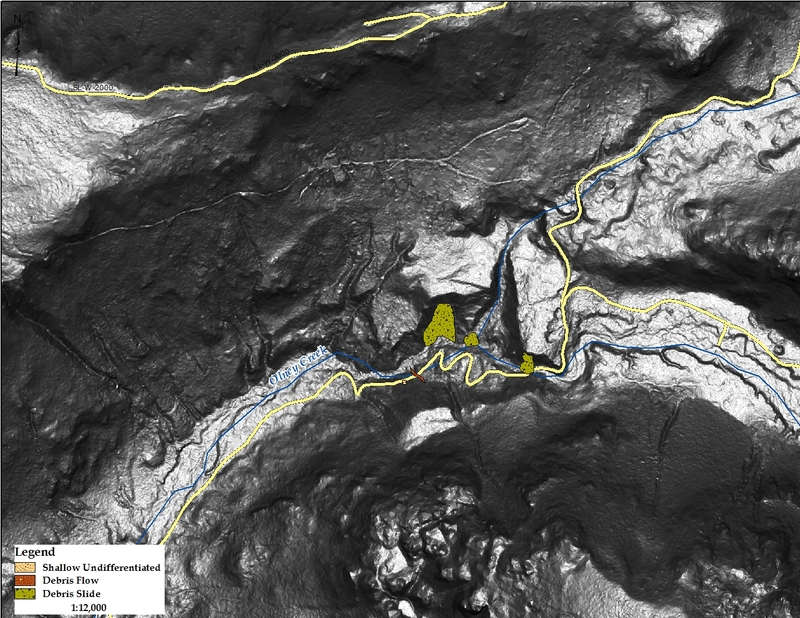 Unfortunately, I was in the office, directing geologists to specific areas and creating updated maps of where we had located landslides or had damaged houses or blocked roads. 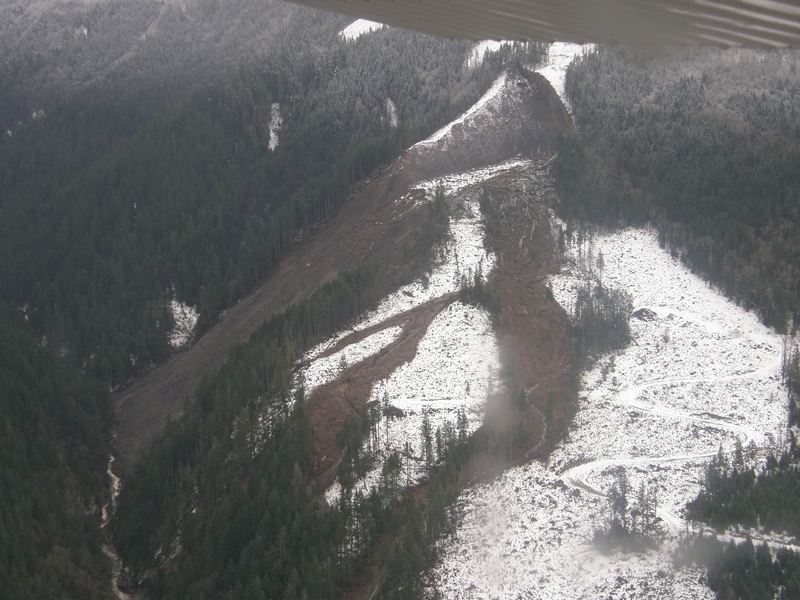 I sent one of our geologists on the east side to get to Hyak and investigate what had happened and determine if it was an landslide or a snow avalanche. Plus, it did damage a handful of houses and the hillside had the potential to continue moving. 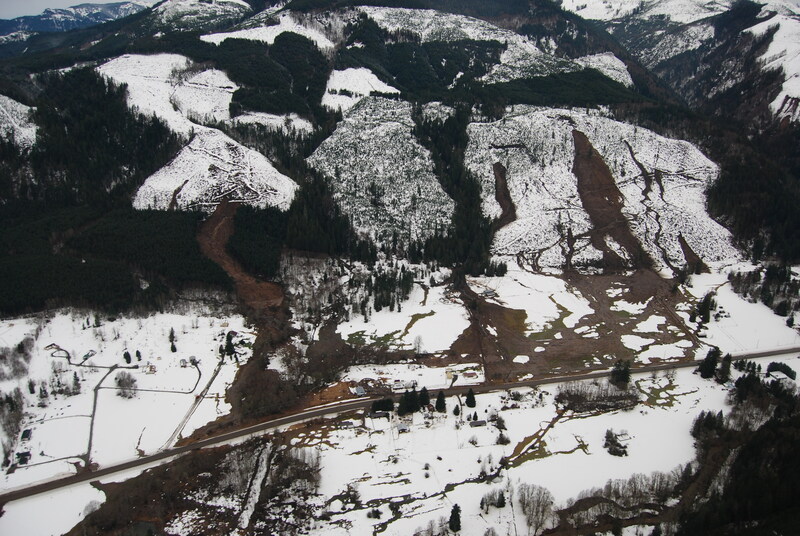 Our geologist arrived I think late on January 7th and found numerous other crews investigating the landslide. Talking to them and doing some investigation herself, it was determined that it was most certainly a landslide and further, the slope was completely saturated. The scarp and material had woody debris within it and within the scarp, casts of old logs could clearly be seen, most with water gushing out the casts. It turns out that the slope had been modified about 40 or so years earlier and it appears they incorporated woody debris into the material. Over 40 years, the wood deteriorated and probably allowed water to more easily infiltrate into the subsurface, probably to the contact between the fill and rock/soil. 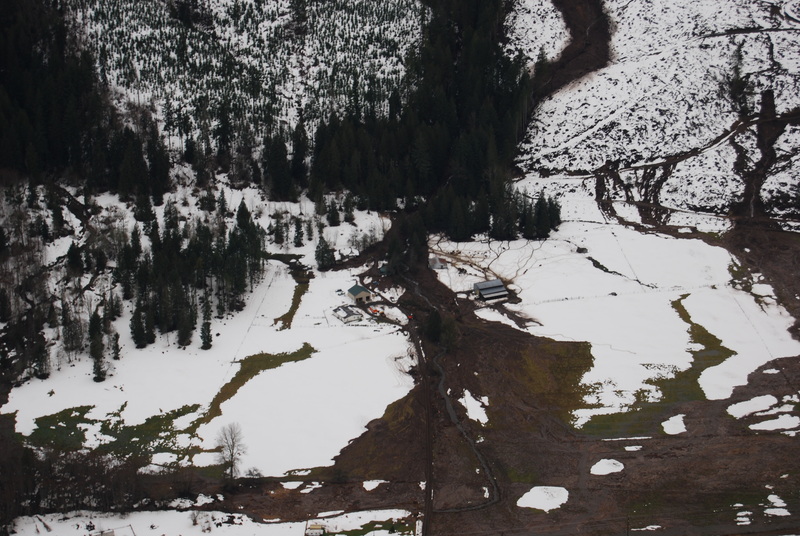 According to Matt Cowan, Fire Chief of the Snoqualmie Pass Fire and Rescue, the landslide impacted eight houses, one which was pushed off its foundation, the other lightly damaged. Two people were injured. The hillside might still pose a threat to future failures. 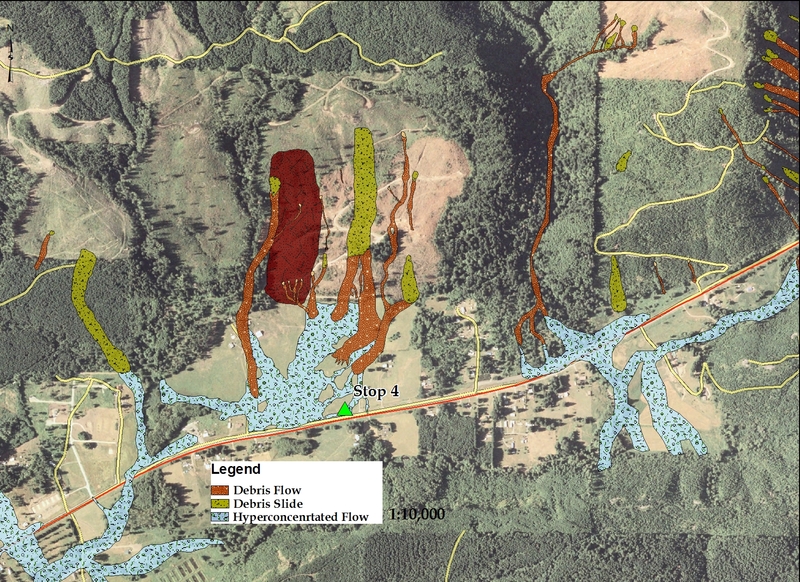 If woody debris exists in the subsurface then continued weakness still exists. 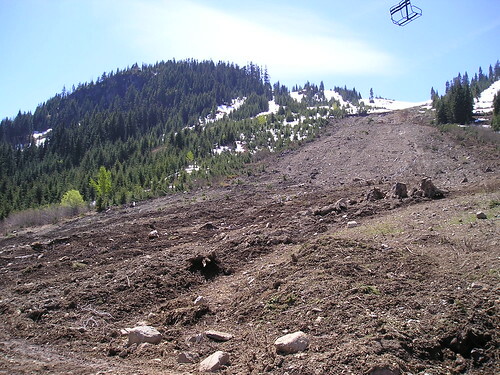 I am not sure if the ski resort is planning on regrading the hillside to make the slope usable to skiing, although I cannot imagine that they will abandon the ski area. Unfortunately, we have inherited a lot of legacy problems from early land-use modifications (from the early 1900’s to 1970’s) that still plague us today. They are rarely recognized as a hazard, but their results can be deadly. The picture has a backdrop of 2003(? 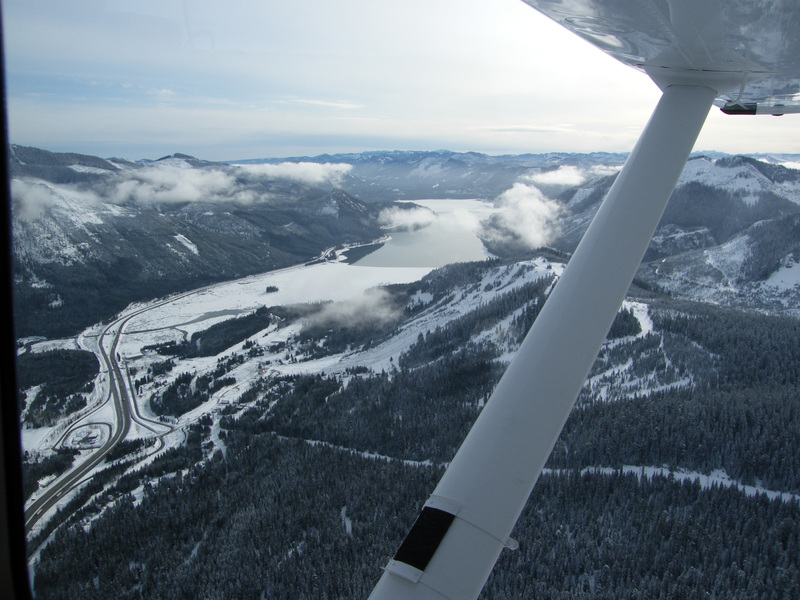 I think it was later than that) Snohomish County LiDAR. 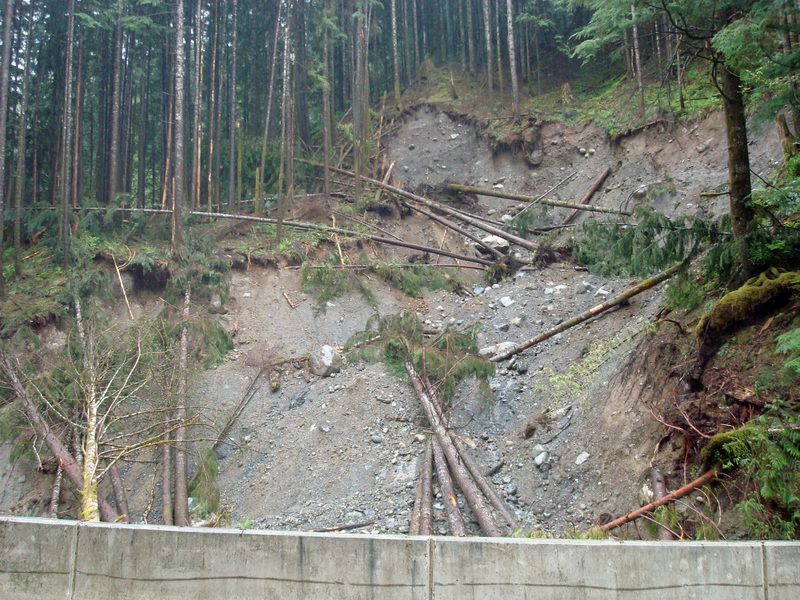 The most interesting of these landslides is a debris avalanche at the bridge crossing at Olney Creek. 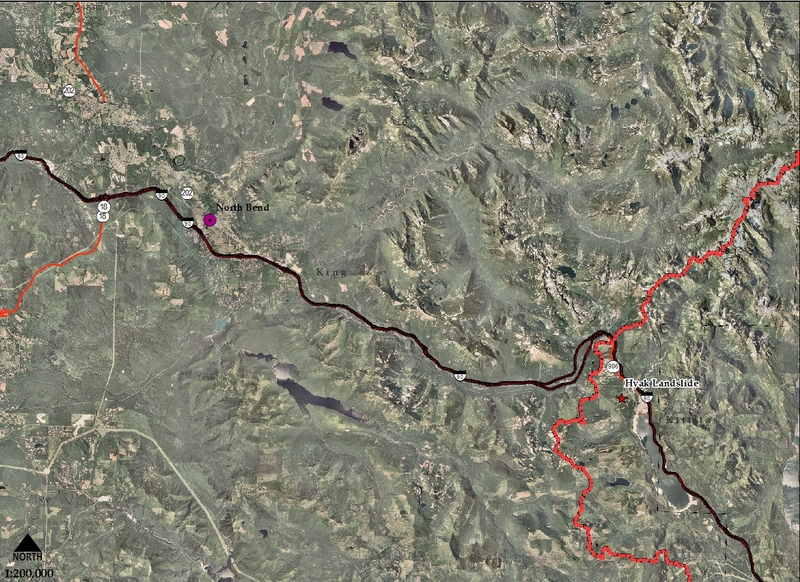 It was probably dealt a one-two punch, the swollen Olney Creek was probably eating away at the bank (and probably has been for years) and the saturated ground allowed enough driving forces to overcome the resistive forces. It also moved a good amount of timber into the creek, which might cause a problem down the road by creating a debris dam behind the bridge.